Two Singapore arm wrestlers will represent the nation at the XIII Asian Open Arm Arm Wrestling Championships, held between 24th to 29th June 2014. 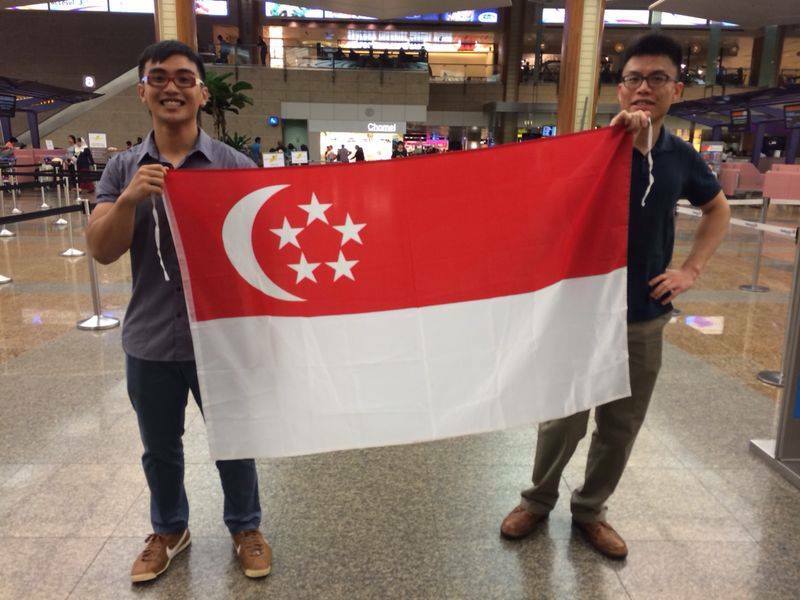 Valen Low Wai Luen, 20, and Desmond Lau Chee Loong, 26, will set off to Sendai, Japan, on 22nd June 2014 to compete against Asia's finest arm wrestlers. Their trip is self-funded. Sendai has its scenic sights, but when the XIII Asian Open Arm Arm Wrestling Championships kicks off its first match on 26th June 2014, strength will be the spectacle. Over 150 arm wrestlers from 10 countries will compete in the 13th edition of the competition. Singapore's Valen Low is registered under the youth under 21 years old, under-70kg weight class category, in both left and right hands. Similarly, his team mate Desmond Lau will compete in the under-70kg weight class category for both hands but in the Senior Men's category. Valen travels to Japan on the back of a successful FitX Invitational competition, in Melbourne, Australia, in which he emerged champion for the under-80kg category. This time round in Japan, the Republic Polytechnic student will be hoping to make weight for the under-70kg weight class category. "I know that if I compete in the under-80kg category, I am competing against guys who have larger arms, hands and a larger frame. I was carrying quite a fair bit of body fat so I decided to cut down to under-70kg (category) so that my chances for getting better results are higher," he explained. The process enabled Valen to shed six kilograms in six weeks. Diet was not the only thing that deviated from routine. He also focused on more arm wrestling specifics in the build up to the Asian Open Arm Arm Wrestling Championships. Despite the weight loss, Valen said he feels stronger than before on the arm wrestling table and hopes to be healthy and fresh for the competition. He sets a goal of getting in the top five in the right hand category but sees the competition more as a platform for the future. "This time I go for experience, but five years later, I go to win," he said, determination evidently displayed. In Sendai, he also wishes to make a statement to the arm wrestling scene about the strength of Singapore's arm wrestling team. Like Valen, Desmond, an undergraduate, has also been carefully counting his calories to make weight for the under-70kg category. He also prioritises being healthy and fresh going in to the competition. "I cast aside the mathematical readings I had wanted to do over the vacation so as to get myself mentally prepared for the competition," said Desmond. "I plan to get my mental and physical condition to 100%. Basically that means a sharp mind and an injury and ailment-free body, so I have to watch my diet and get ample rest." He describes his cutting process as "torturous" and shares that on top of physiological changes, he felt a difference in his mental and cognitive state. "I crave for a lot of food, carbohydrates, sweet stuff, ice cream. Almost every night, I had fantasies for sashimi, rib eye steak, ice cream, waffle, and beef wellington," he said. His team mate, Desmond Lau, a champion in the 2011 edition of Shin Min Daily's arm wrestling competition, will be competing in the Senior Men's category. It was at the 2011 Shin Min Daily's arm wrestling competition where Valen first met Desmond. Desmond said: "I contacted him (Valen) on Facebook after my win at 2011 Shin Min Armwrestling competition. 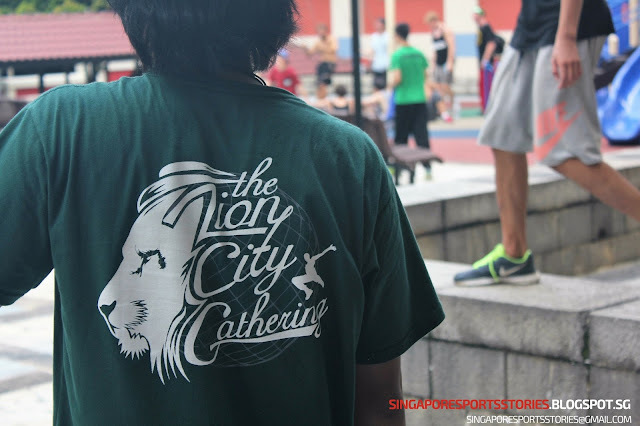 I think it was Dave (Singapore Arm Wrestling team member) who approached me and told me to go to Valen if I was interested in training with them." Valen dubs Desmond as "genetic freak" and recognises him as one of his strongest rivals. "During trainings, he (Desmond) actually poses quite a challenge for me, he can win me most of the time. With that being said, that doesn't mean I am inadequate, it is just that training and competition state are different," said Valen. The gruelling training and dieting process have ended and competition will begin when the pair fly off to Japan. They have had their fair share of successes in their arm wrestling journey thus far. This time in Sendai, the Singaporeans will be hoping to summon a strong showing in their Asian Open Arm Arm Wrestling Championships debut.